I have never read a Harry Potter book, nor do I know any of the characters but I have to say that I have never been so impressed with a theme park attraction as I am with Diagon Alley. I do know London and can say that the architecture is nothing short of perfection. This new section of Universal Studios is the better of the two Harry Potter zones. Islands of Adventure has been out performing Universal Studios for years, but watch for that to change. 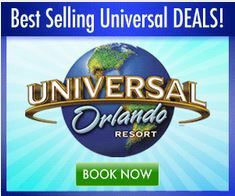 If Someone has any interest in Harry Potter at all and only want to buy a one park ticket they probably will buy just Universal Studios for now. The original Hogsmead Harry Potter in I.O.A. provided a huge boost in attendance and Universal Orlando wanted to do the same for Universal Studios and I am sure they will get the rewards. The new Diagon Alley is better because its bigger or seems to be and it is mostly shaded. On a typical Orlando summer day of 94 degrees it was very comfortable. Perhaps in the winter more People will want to be at Hogsmead for more sun and at Daigon Alley in the summer months.